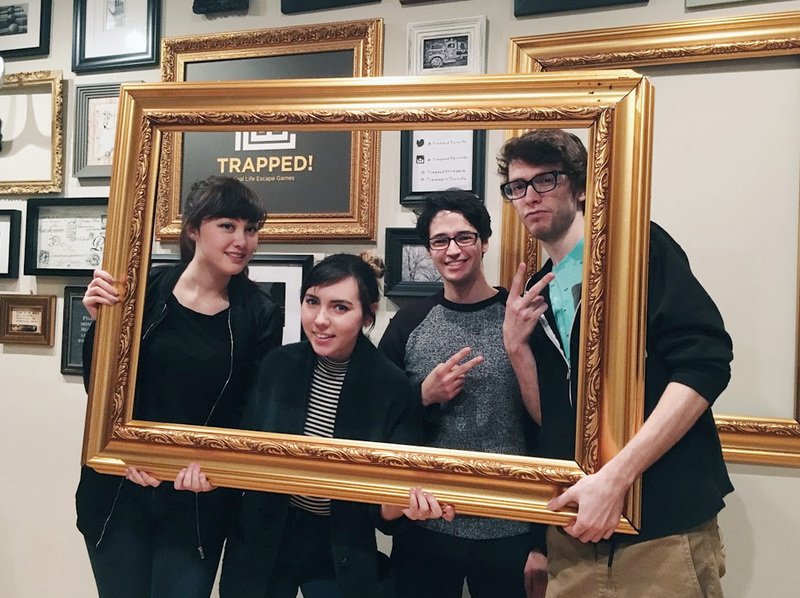 Jord and Adam had never tried escape rooms before, so we booked a room at Trapped! Toronto. Escape games are super fun – if you’ve never tried them out, I suggest you round up a group of friends and book a room! We did the room called “Claustrophobia”… I won’t elaborate on it too much, but you’re locked in a fairly small, dark room and you have 45 minutes to solve puzzles and figure out how to escape. Lots of fun though, we ran out of time but they let us have 5 extra minutes at the end and we managed to get out! The rooms at Trapped seem to be good for escape room beginners, but still require lots of communication and creative thinking. Not as immersive as some of the other escape rooms I’ve been to though – Claustrophobia takes place within one room. We headed down the street to Sansotei Ramen (or as my dad likes to call it, “San Jose Ramen?… A few people recommended it and it was literally 2 minutes from Trapped! It is easy accessible from Eaton Centre, and is a minute away from St Patrick subway station. I think I’ve found my new favourite ramen place in Toronto! Dropped by for dinner (around 8PM). As a party of 4, we had to wait outside for about 20 minutes to get in. The place itself is quite narrow and small, so I wouldn’t recommend this for groups larger than 4. I ordered the tomato ramen (with thin noodles) and extra egg, and I highly recommend it! I’ve been to other ramen places *cough* kinton *cough* where the broth was way too salty for me. (I ordered shoyu ramen with a miso base, and couldn’t even finish it because it was the saltiest thing I’ve ever eaten.) 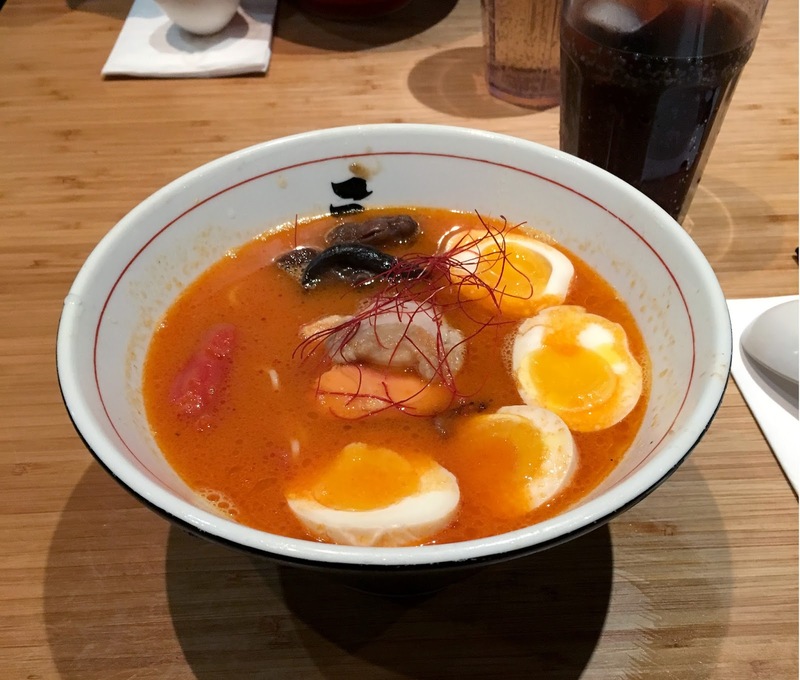 The tomato ramen is flavourful and has the perfect balance between saltiness and acidity! The pork slices were great, not too fat. The portion sizes were perfect, and left me feeling super satisfied. Every time I’ve walked down Queen St, I’ve seen the sign for A-Game. 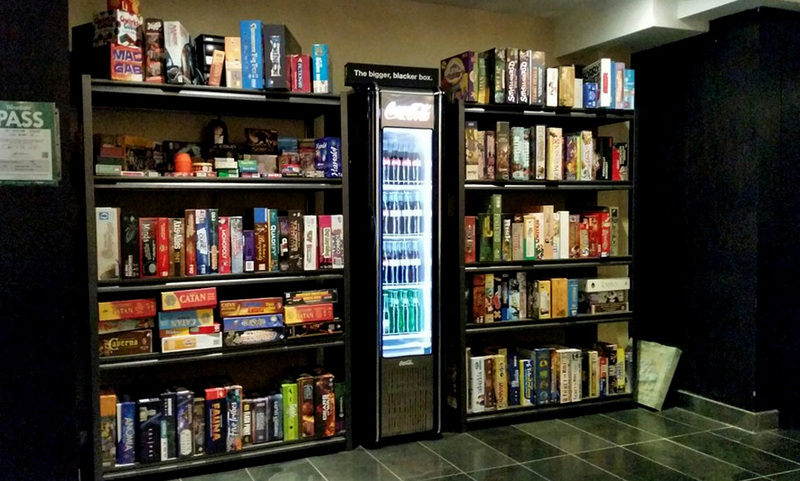 Located on the upper floor of the building, A-Game is a little gem that most people seem to overlook (in favor of bigger names like Snakes & Lattes). 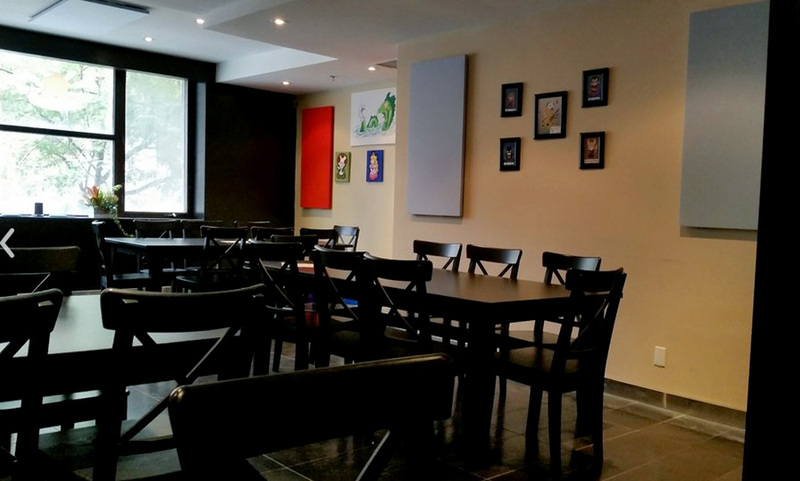 It’s a medium sized room with many tables and three shelves of board games. There is a $3.50/hr per person sitting fee, or $7 for unlimited play. 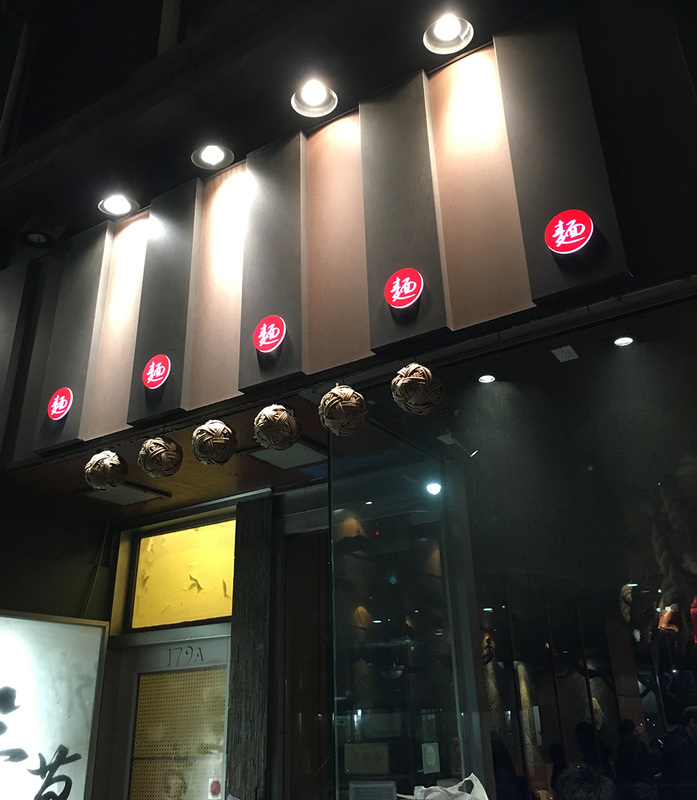 They offer drinks and small meals, but there is no pressure to order anything. (We didn’t, still super full from the ramen!) The staff were knowledgeable and would give suggestions and explain rules if you didn’t know how to play a certain game. Super friendly environment, and there was no elitist gamer attitude at all! Just a nice place to sit with friends, play some board games, and have some fun. As we walked out the door of A-Game, we caught scent of the sweet crepes that were being made just two doors down. 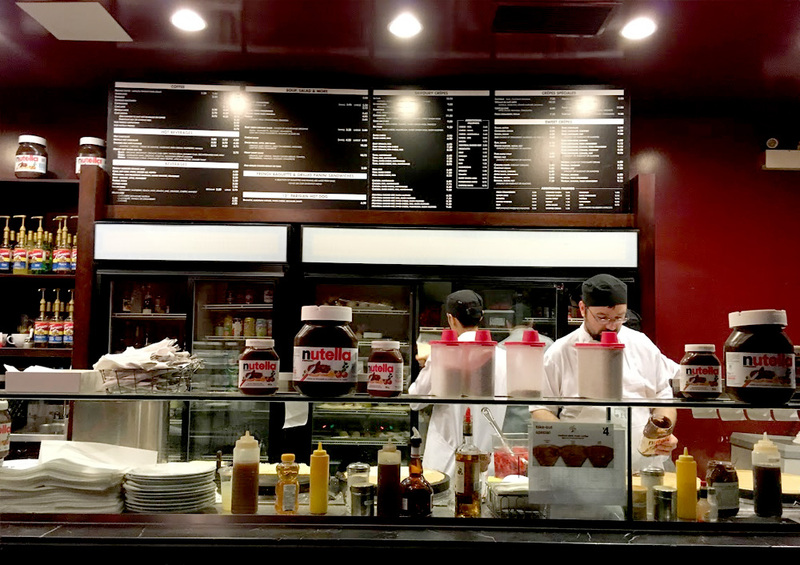 I’ve been to Cafe Crepe a few times – it’s one of my favourite places to eat downtown! 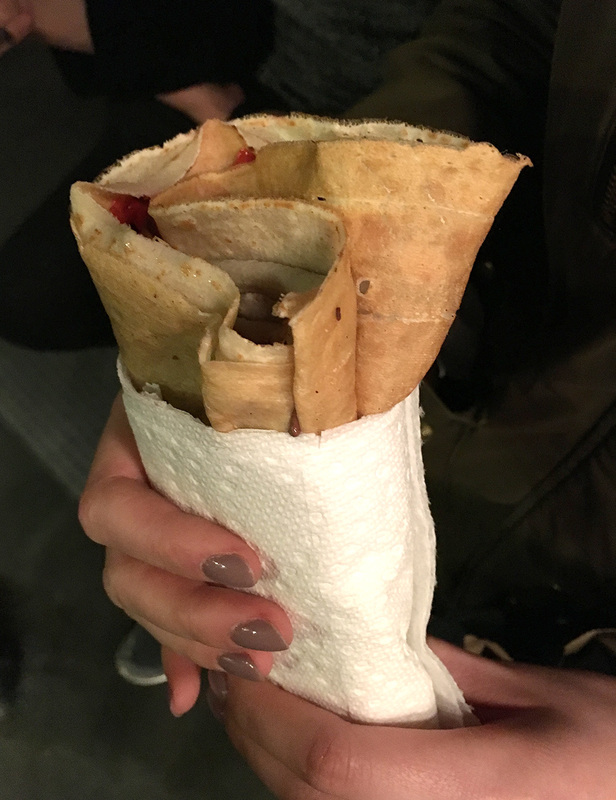 It was about midnight, and I really felt the need for a sweet, chocolatey crepe. We got them to go, which meant they were wrapped up and placed in wax paper bags wrapped in paper towel. 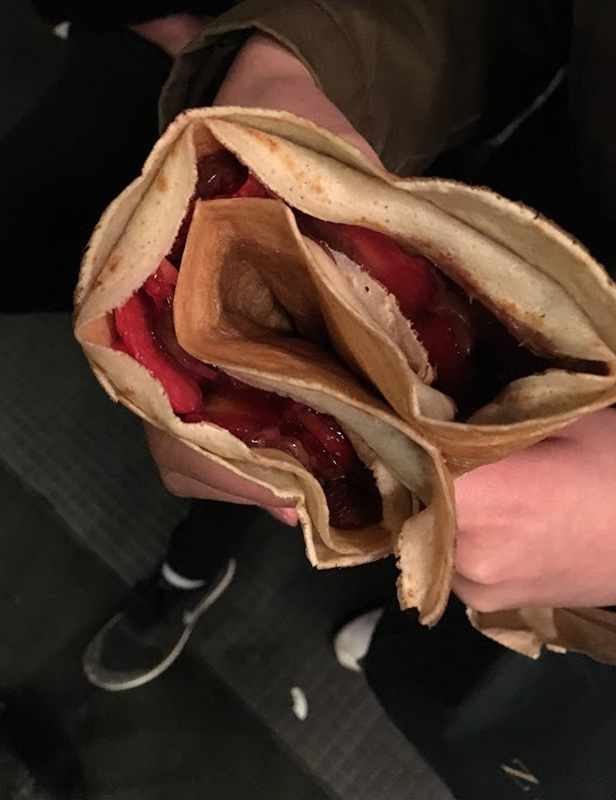 The crepe itself was crispy and soft, loaded with nutella and strawberries. So gooood!! We munched on crepes as we walked back to the Eatons parking lot. Hope you enjoyed this little guide!